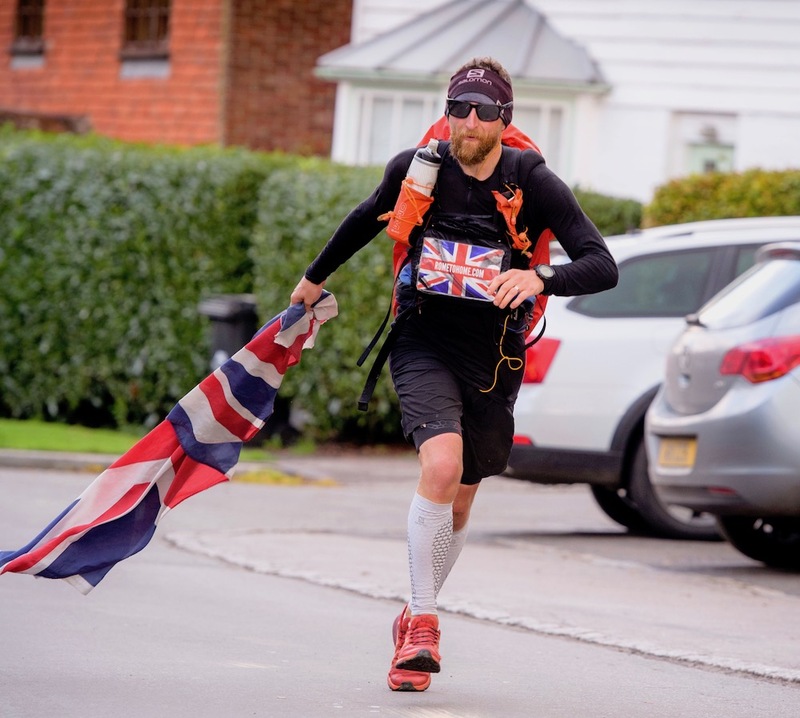 Dan Keeley who embarked on a 1250-mile run from Rome to Home in August is due complete it today meeting friends, family and well-wishers at the London Eye. The 32-year-old broke his journey in East Hoathly earlier this week where his grandparents used to live and where he attended school for a time. 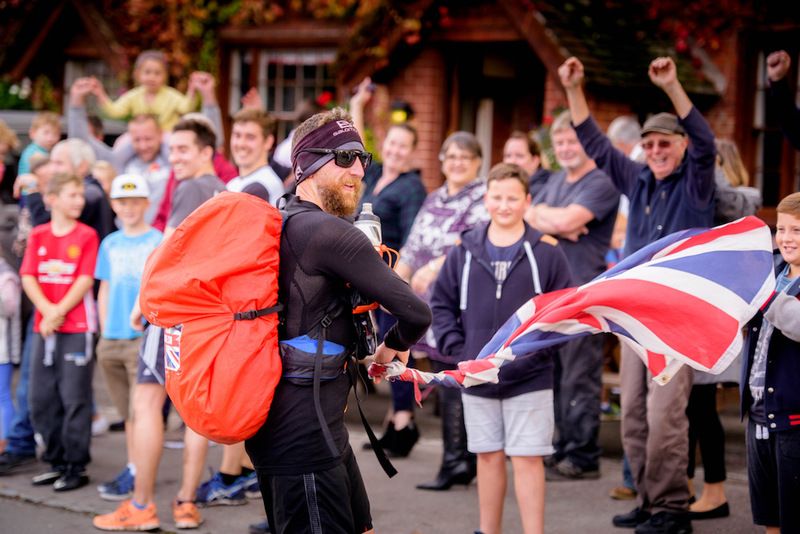 The village was among places that were special to Dan and which he was determined to include in his adventure, according to his sister Sam, from Hailsham, who took him by surprise by meeting him as he was about to cross the channel back into this country. Dan has raised more than £13,000 so far – his target was £12,000 – for the Campaign Against Living Miserably (CALM), a charity dedicated to keeping men alive by talking. Dan, suffers from bi-polar disorder which was diagnosed after he had a full-blown manic episode in Italy in 2012 which saw him preaching from the central lane of a major motorway in Italy at rush hour. 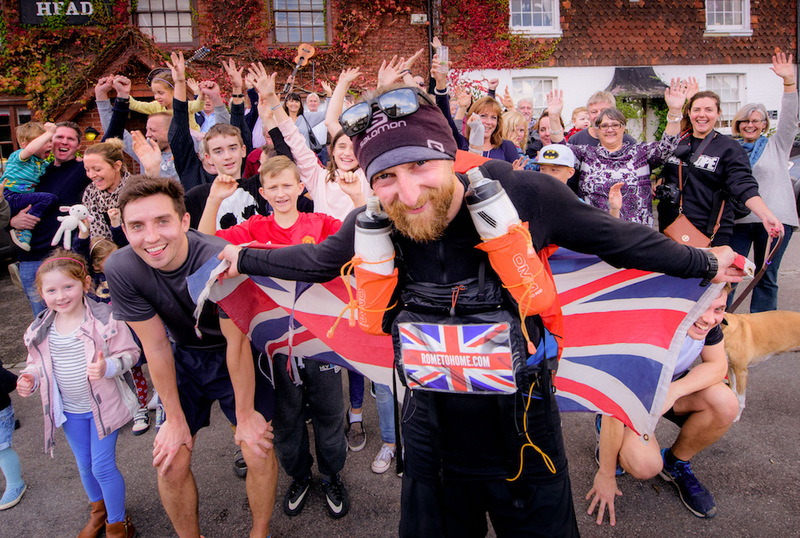 Dan Keeley pictured in East Hoathly on his fund-raising run from Rome to Home. Picture: Jim Holden. He spend time in psychiatric wards in Italy and the UK, was diagnosed with bipolar disorder and went into a crippling depression for six months when he wanted to take his own life. Since then he has been sharing his story in a bid to normalise the conversation around mental health issues an give hope to others suffering and to encourage others, particularly men, to speak up when they’re struggling the most, and ultimately to keep them alive by talking. He was shocked to learn that 12 men under the age of 45 take their own lives every day in the UK and wants to play his part in doing something about it. If you would like to donate to Dan’s fund-raising effort it is possible to do so through his website rometohome.com.